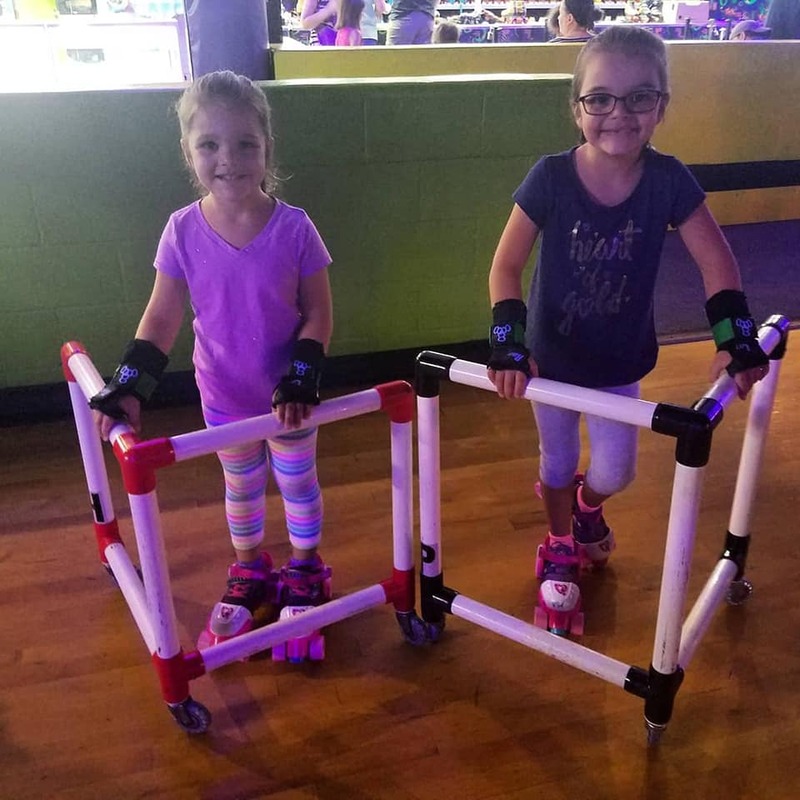 We are so proud of the girls it was their first time on roller skates and the smile never left their faces (even if they fell). 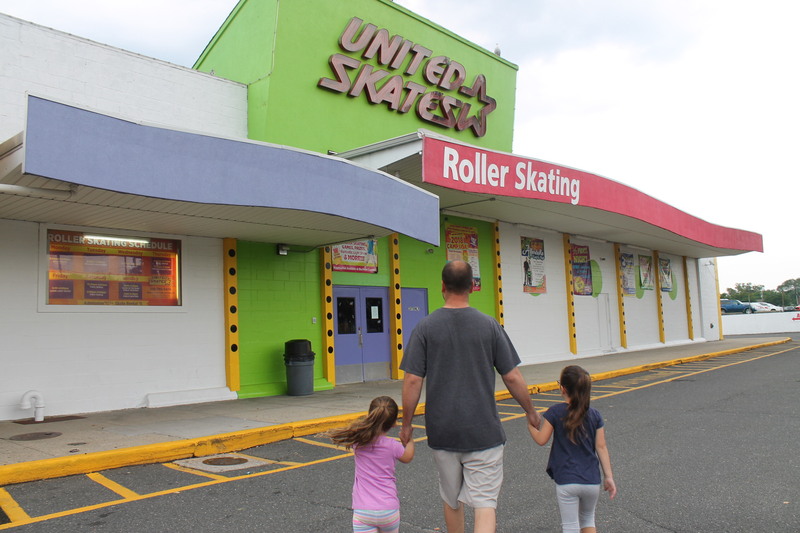 It was our first roller skating family experience and we had the BEST time at United Skates of America located in Seaford. 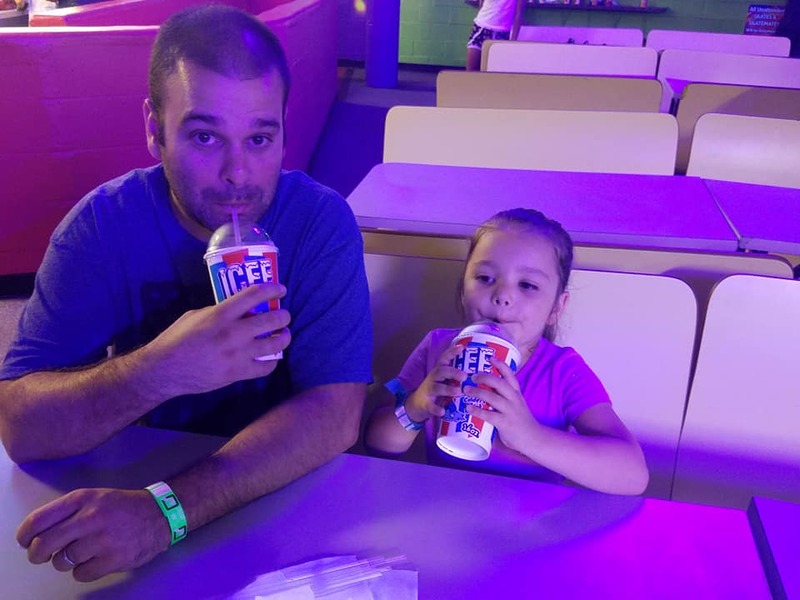 I can not believe it took us this long to head over. 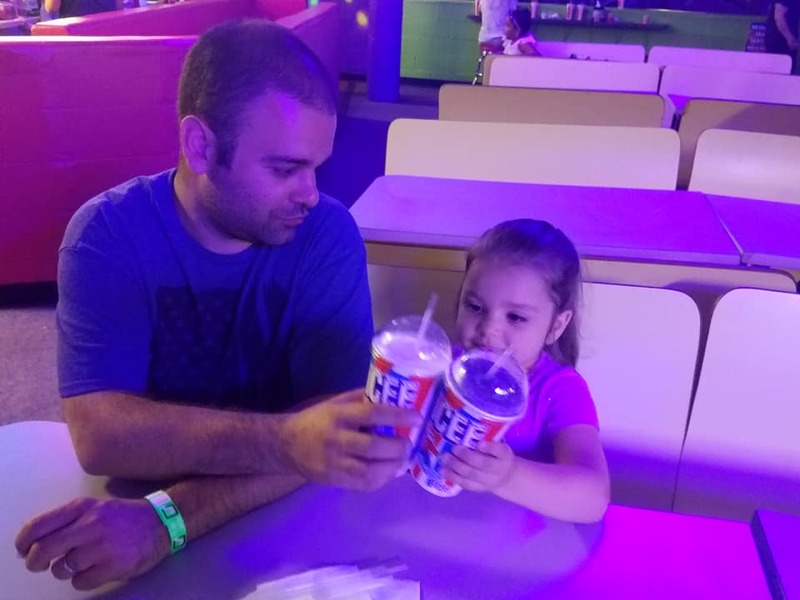 We have found one of our new favorite places to head to as a family. 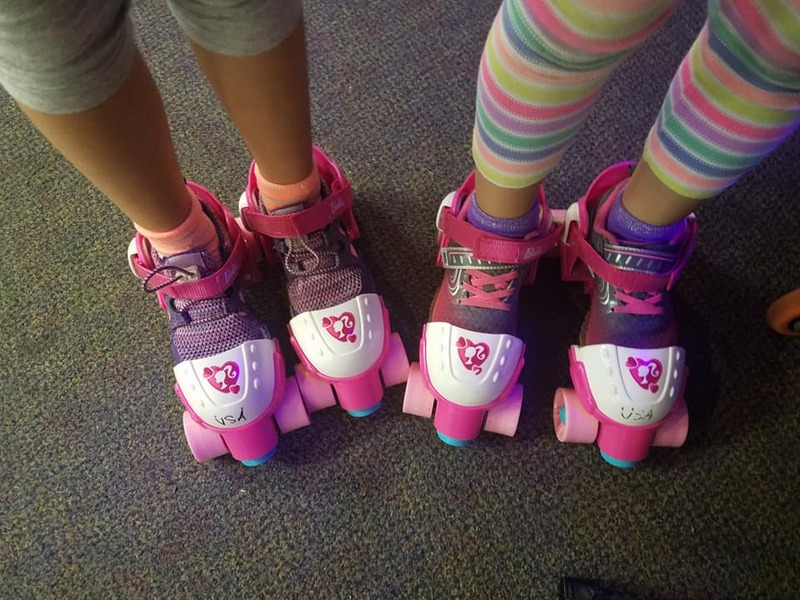 Both my husband and I love rollerblading and we are so happy that our girls enjoyed skating around as much as we do. 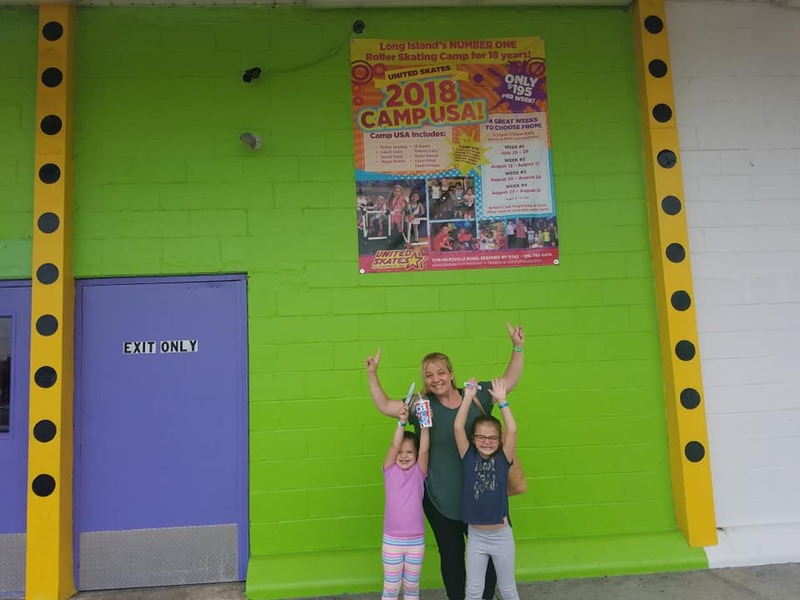 When we arrived the kids were excited before we even headed inside because the building stands out in the parking lot (very easy to find) because it is the super bright green building in the right corner of the parking lot. 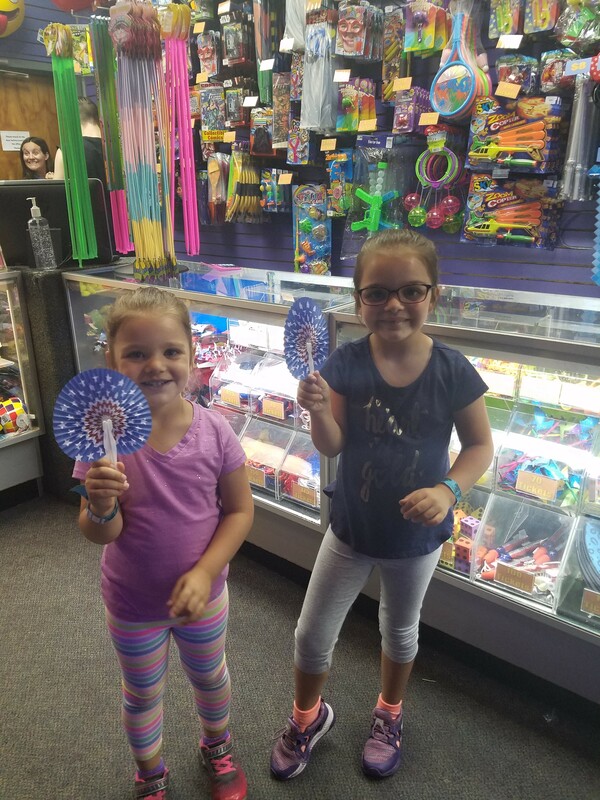 The girls were so excited and the staff was super nice and helped us out since it was our first time there. 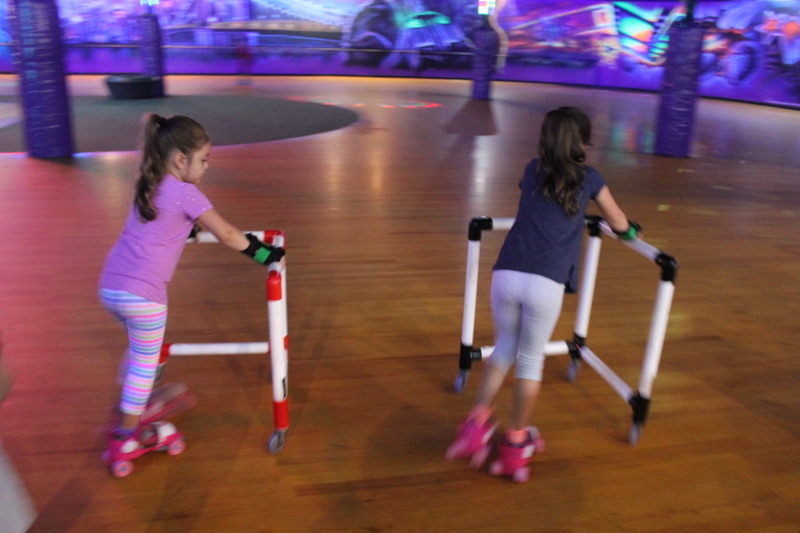 The girls are young (4 years old and 7 years old) and have never been on roller skates before. 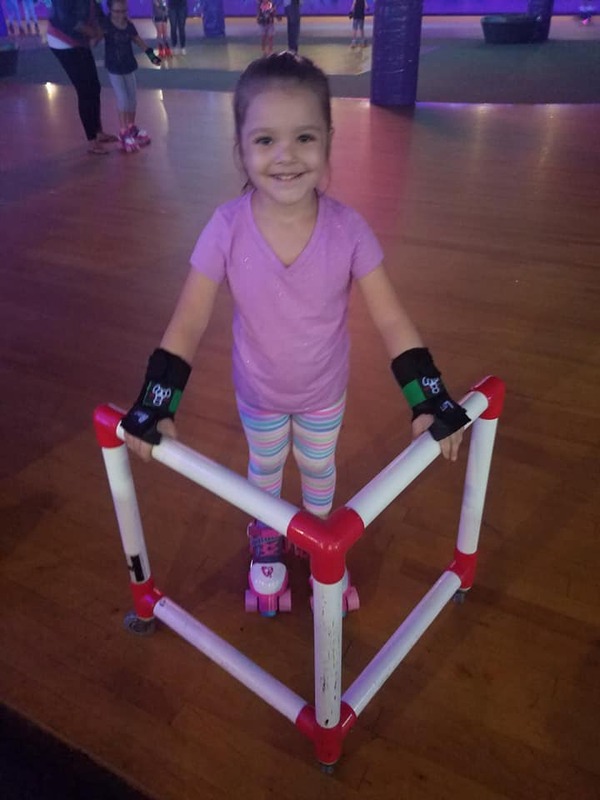 Lauren and Connor suggested that we use the beginner skates that go over the kids shoes (like the ones I remember having as a kid). 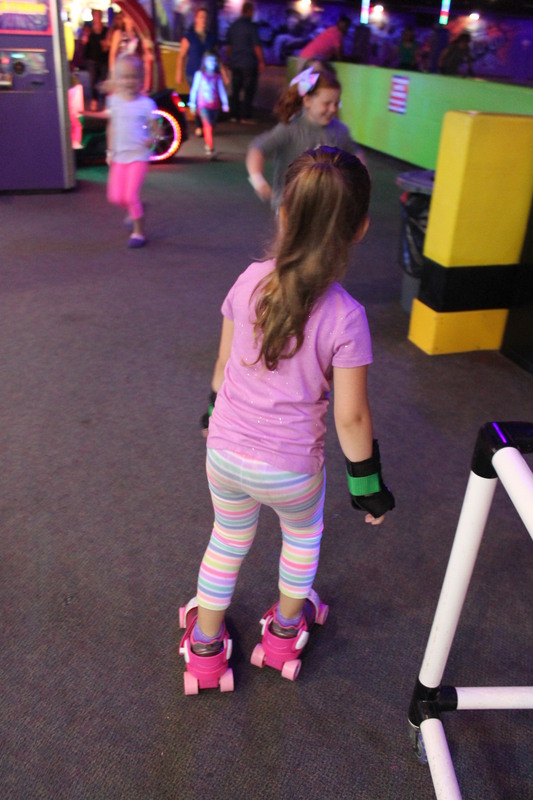 Before we arrived I was a little nervous and hesitant if the girls would like roller skating. 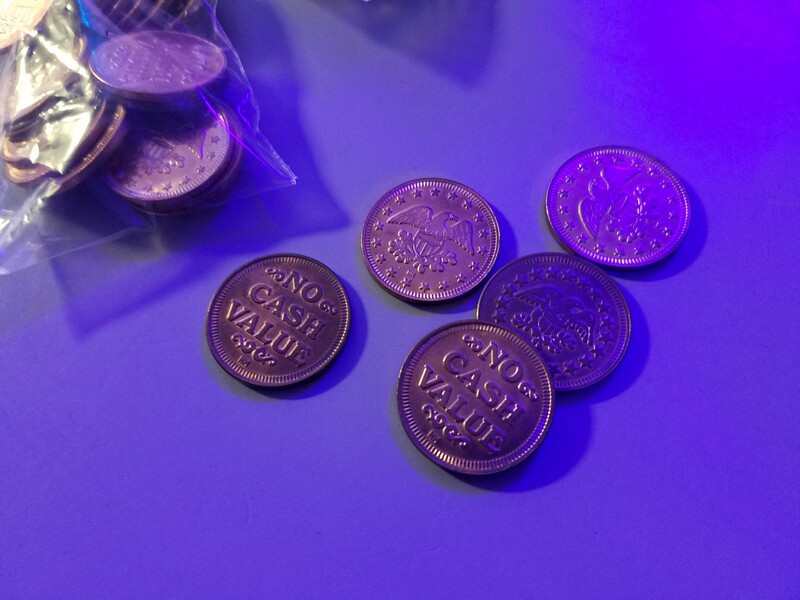 Is it going to be too hard? 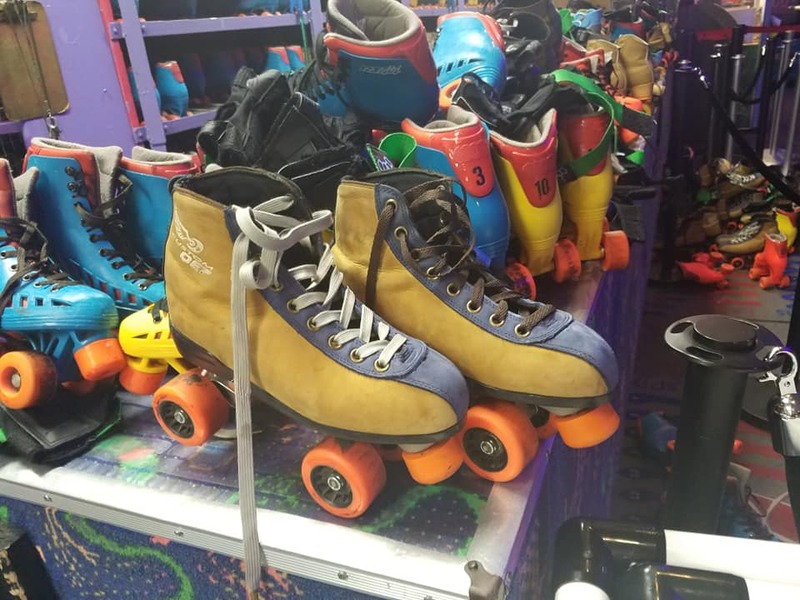 After the first time they fall are they going to want to take the skates off and then that is it? 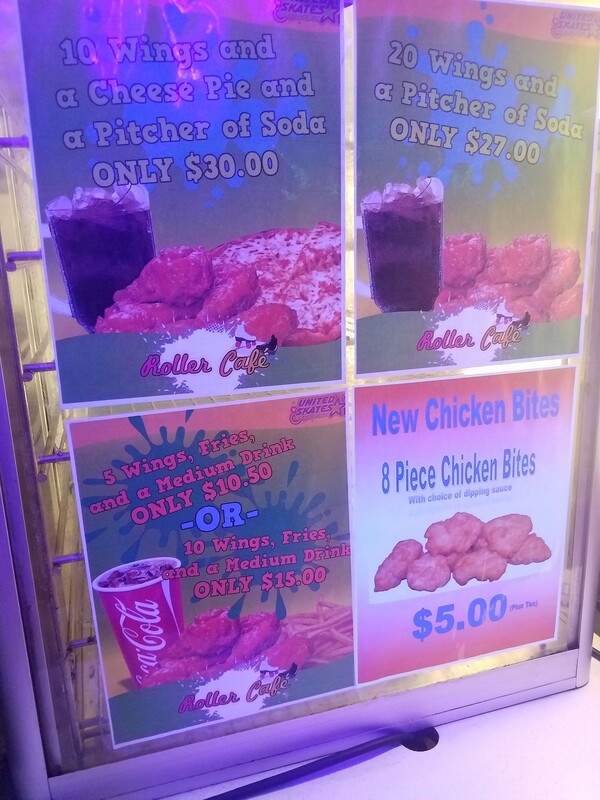 Well, the complete opposite happened. 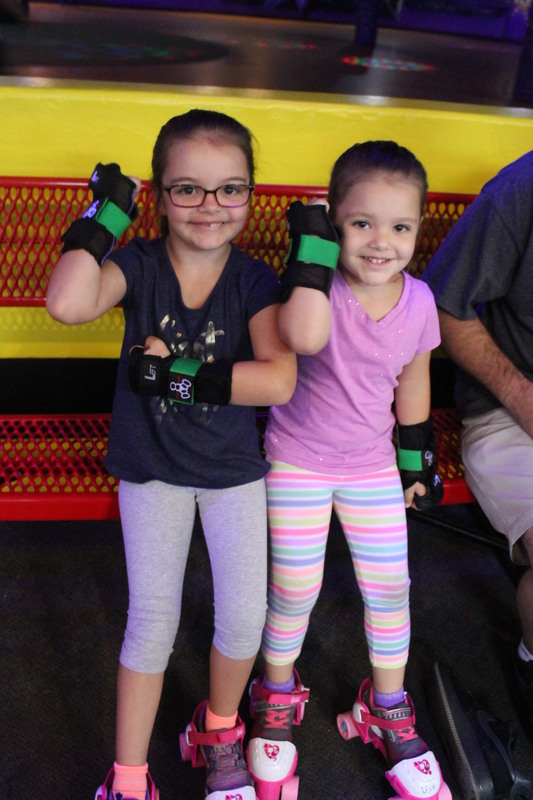 The girls stood right up and were ready to go. 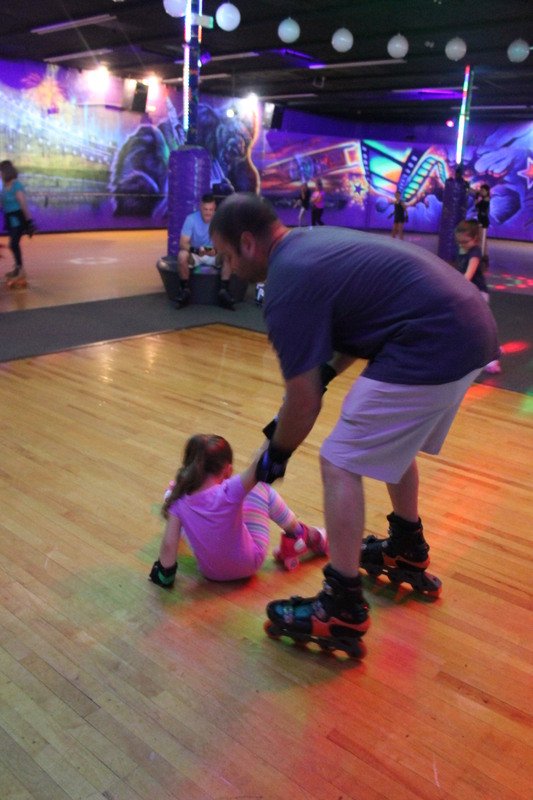 My youngest not only stood up but, began doing some huge Frankenstein Stomping in the skates without any hesitation. 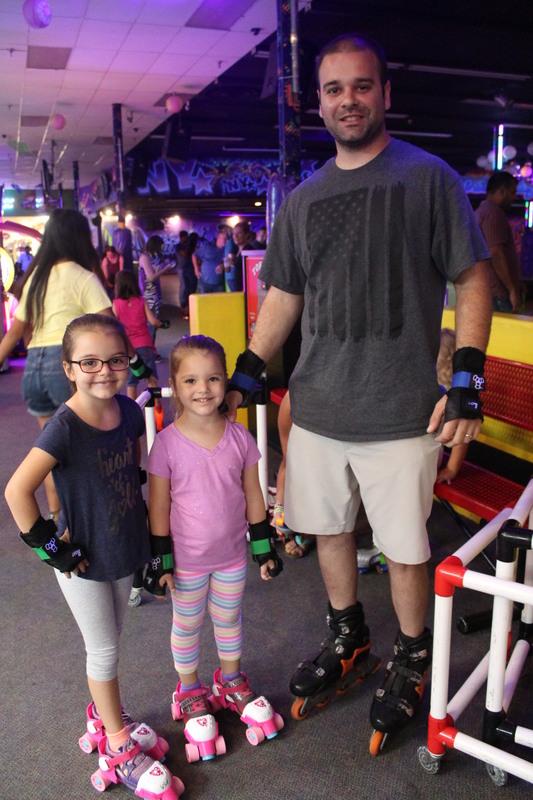 Their smiles were HUGE and they were ready to get out on the roller rink floor with daddy who has not been on roller blades in a while and was just as excited to skate as the girls were. 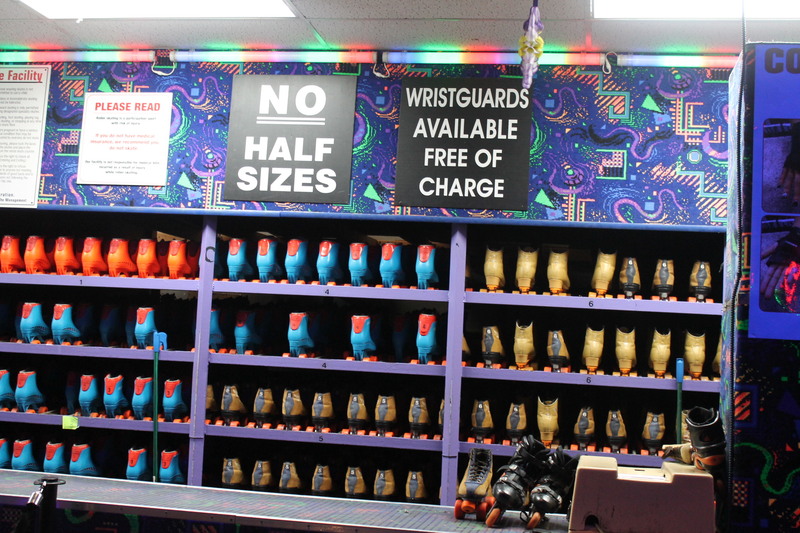 You can bring your own roller skates or roller blades or you can rent a pair for $5.00! 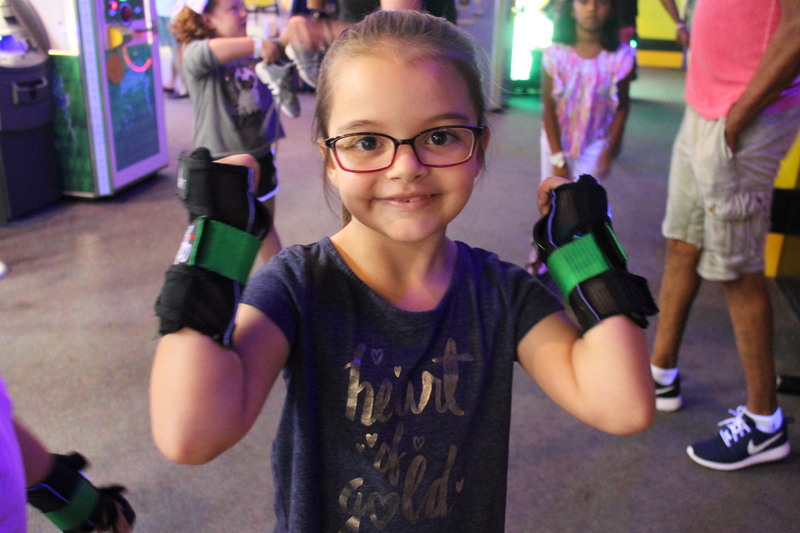 Before we talk about the fun let’s talk about safety, first! 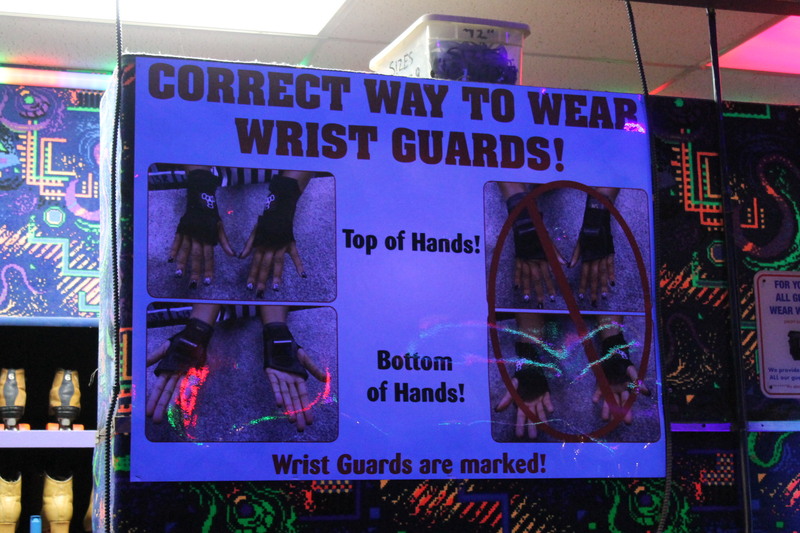 Everyone that skates, kids and adults must wear wristguards. 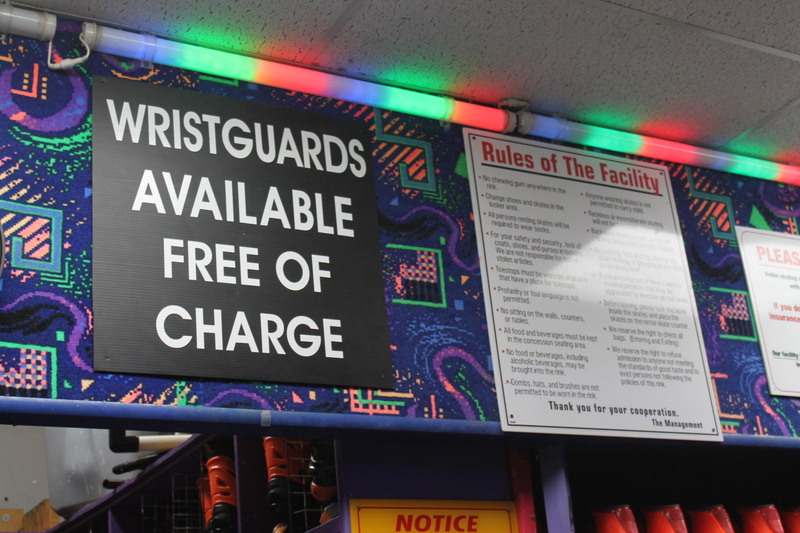 They provide them free of charge or you can bring your own. 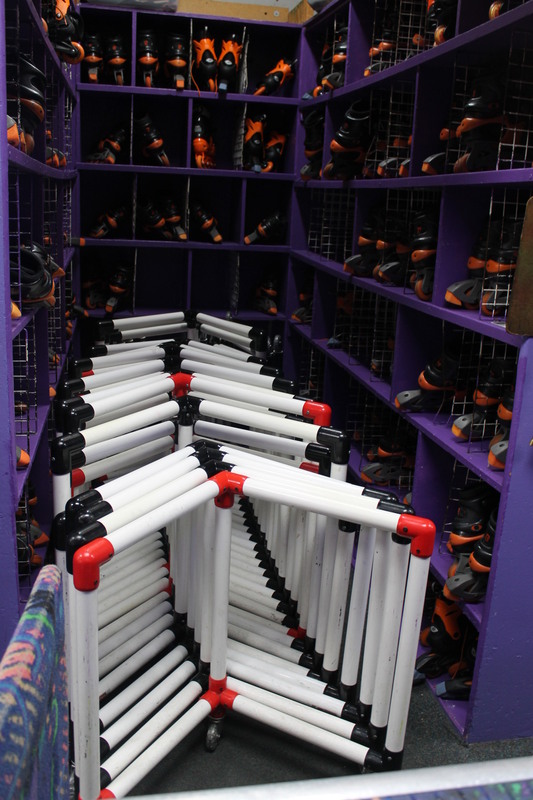 For kids that are super new beginners and may need a little help balancing on their skates there are these genius and super helpful skate mates, available to use. 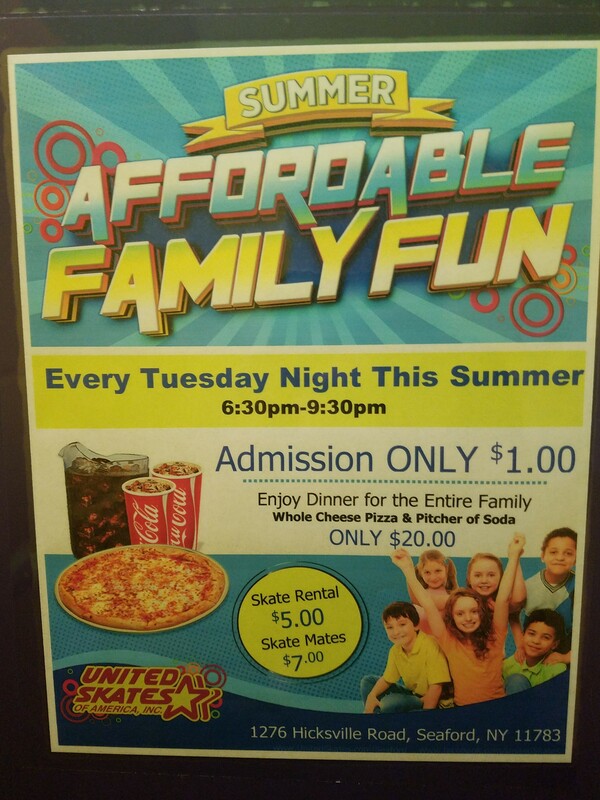 They are $7.00 to rent and I highly recommend getting one for your child. 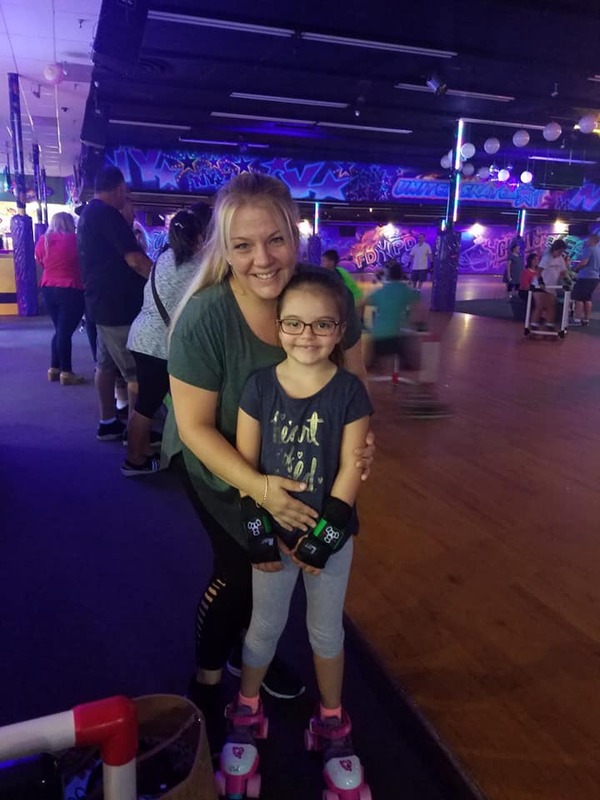 Not only did they help hold the kids up when they first stepped out onto the roller rink floor but, it helped them build confidence and join in the skating fun with everyone else. 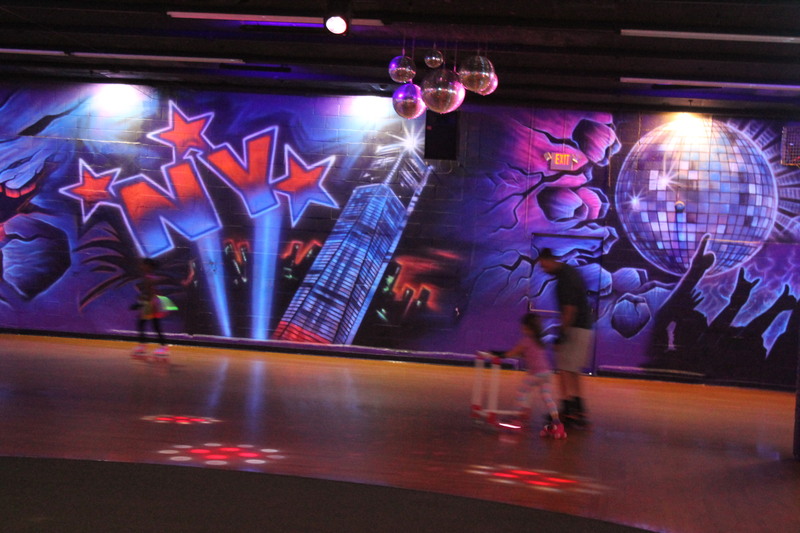 The New York themed rink is so cool! 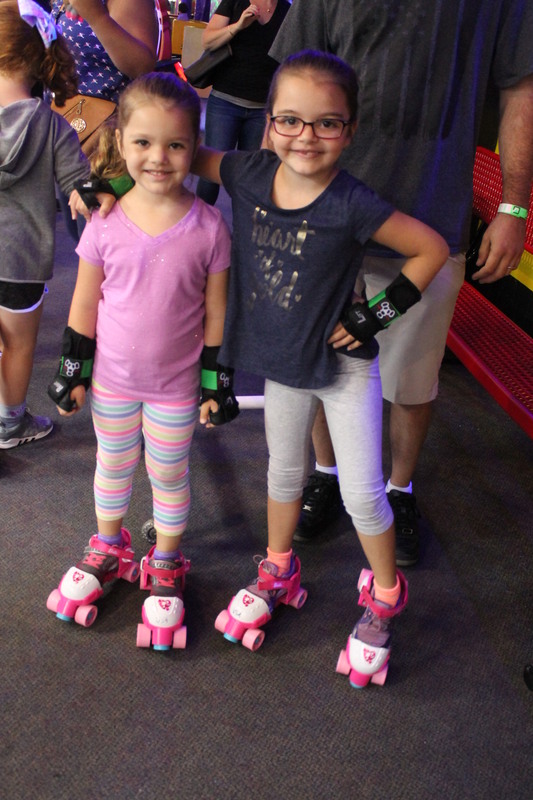 The girls loved skating around and seeing all the different graffiti artwork on the walls. 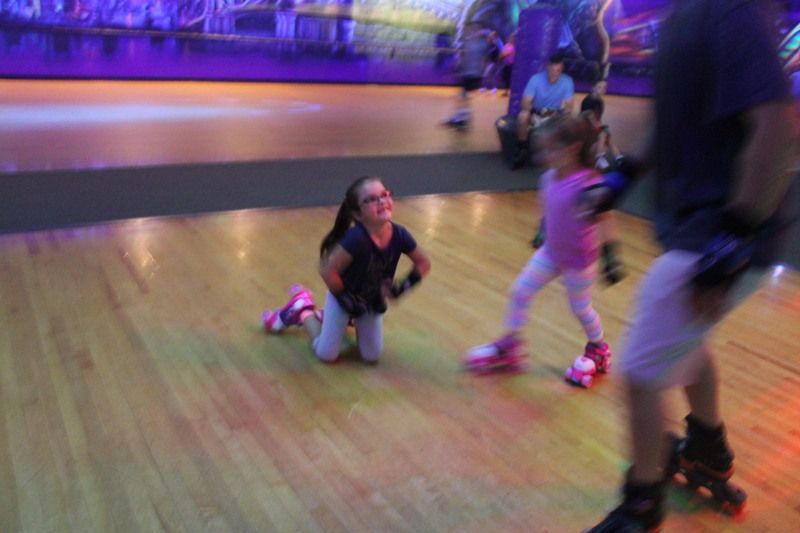 The girls fell down here and there but, got right back up and were smiling and ready to get back up and skate, again. 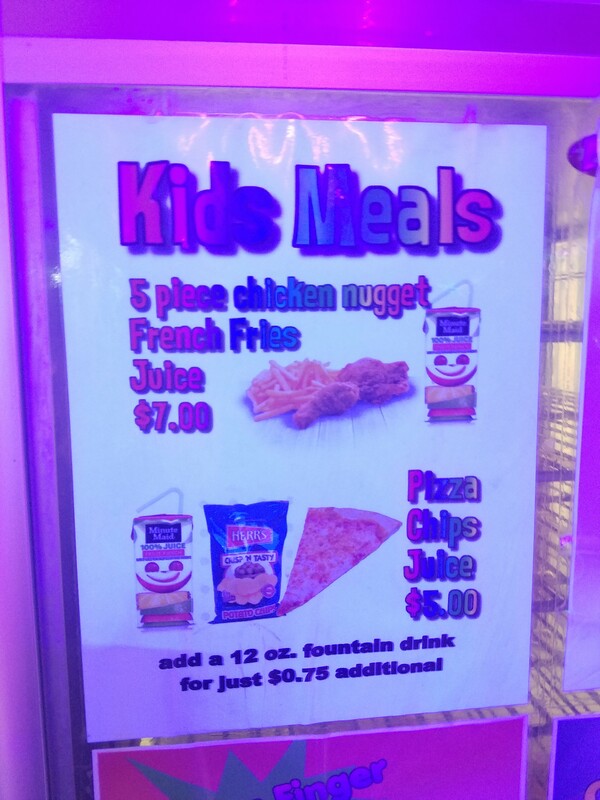 We even took a break and had some lunch in the cafe that had a lot to offer. 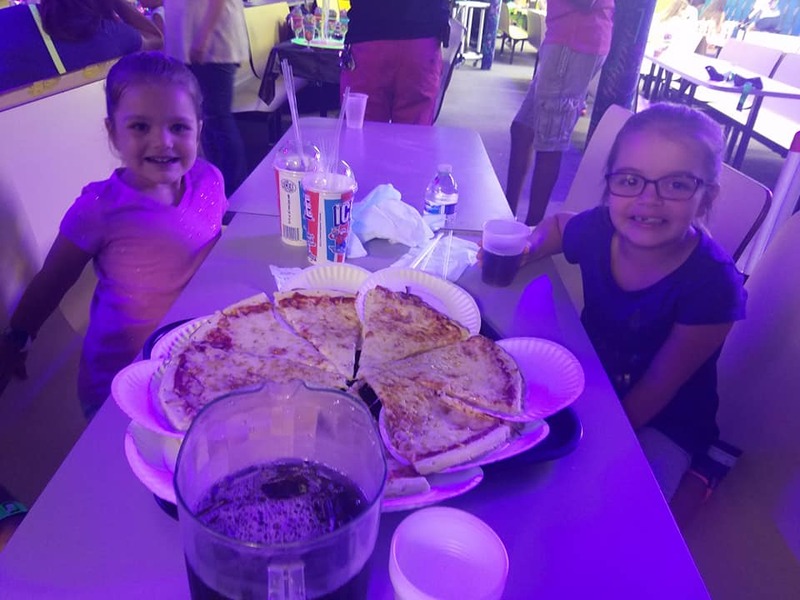 All the type of food you would expect at a roller rink like pizza, chicken fingers, french fries, big super soft pretzels and so much more. 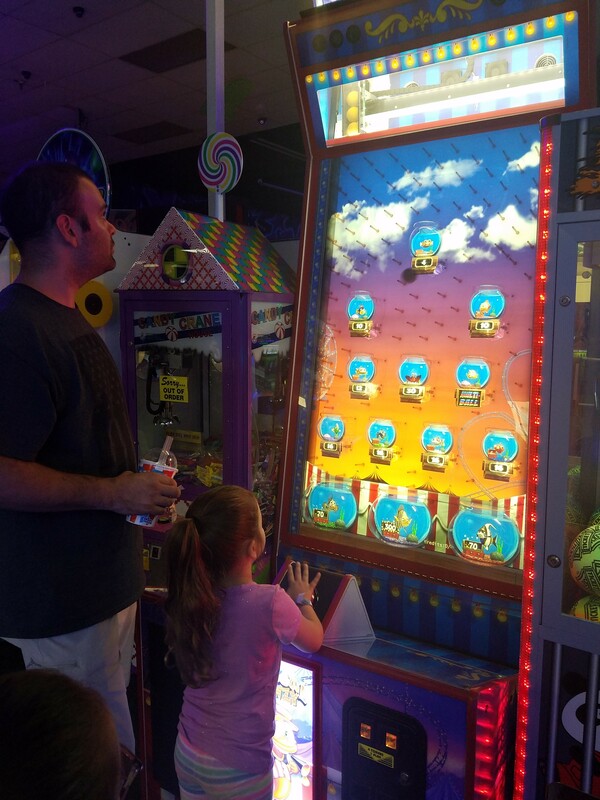 They even had a little arcade game area that takes tokens and you can win tickets. 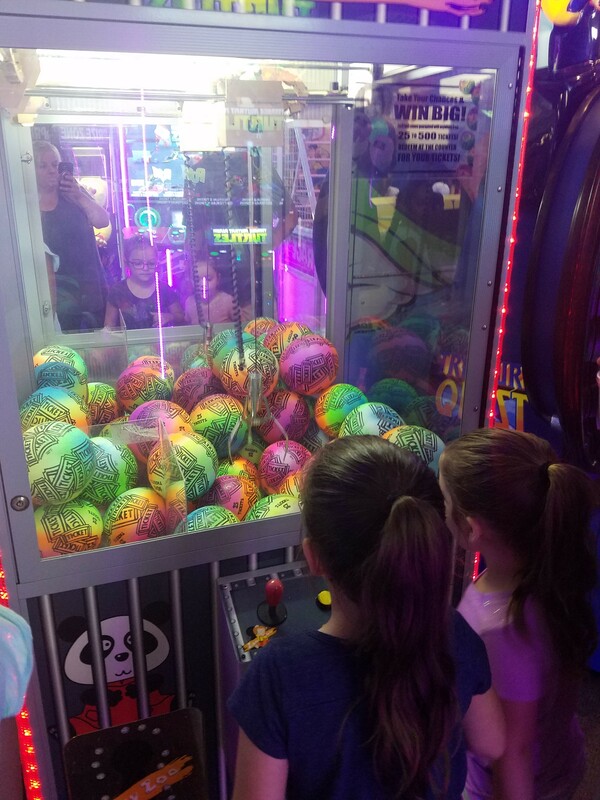 They had a fun variety of toys and prizes to choose from that you can exchange your tickets in for. 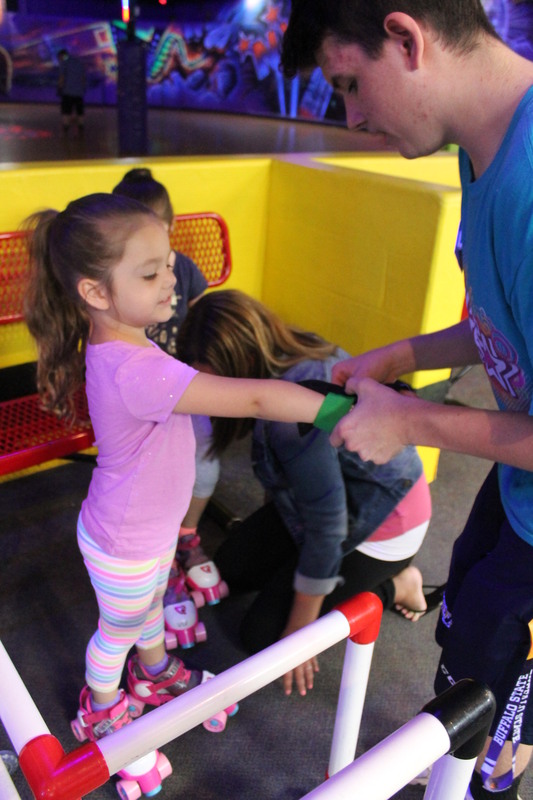 We want to recognize Marianna, also for being so friendly and helpful during our visit. 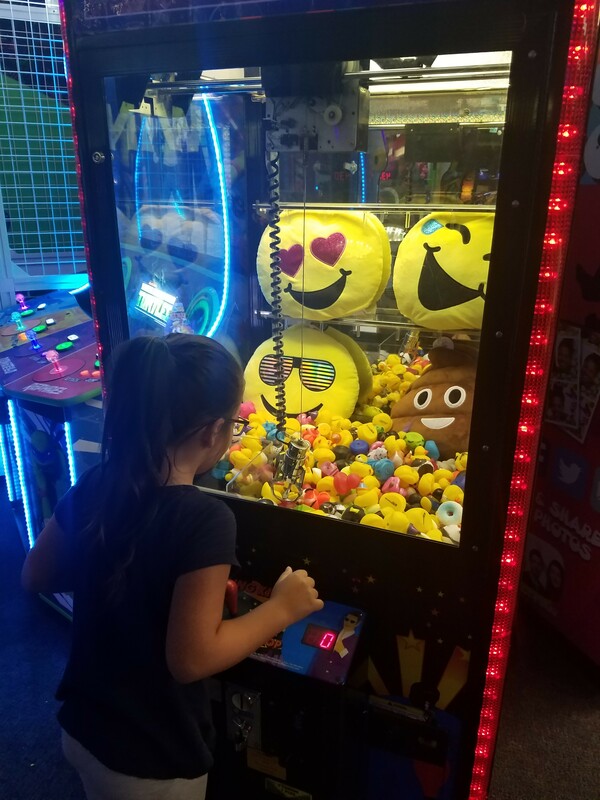 She helped the girls find their perfect prize with their ticket winnings. 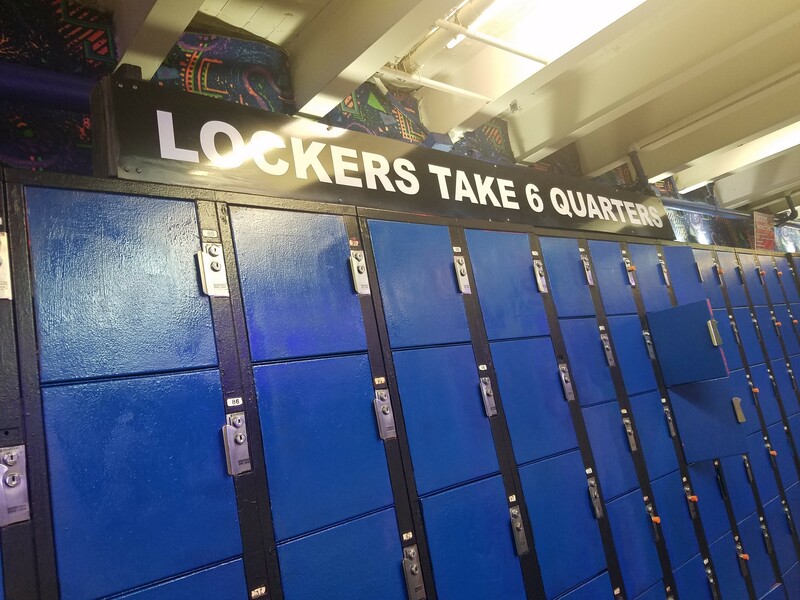 You can use the tokens to occupy one of the lockers while you skate, as well! 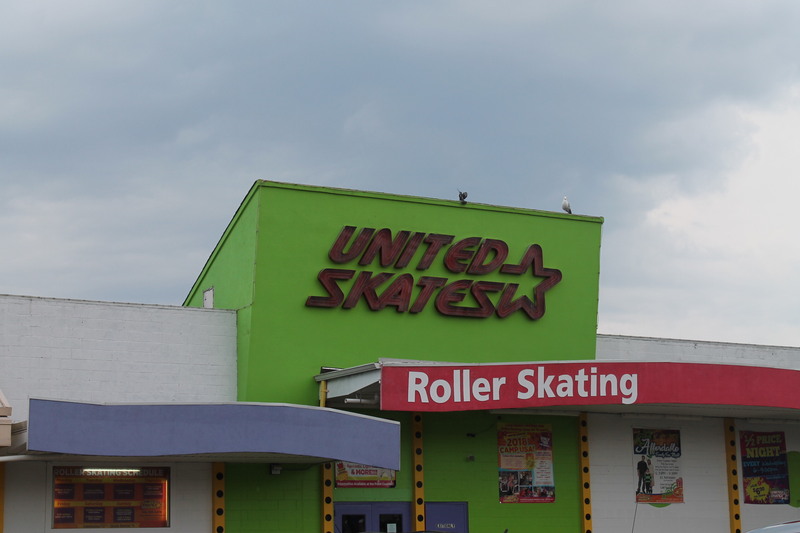 A great atmosphere and a really fun place to go with your family and friends to, we highly recommend United Skates! 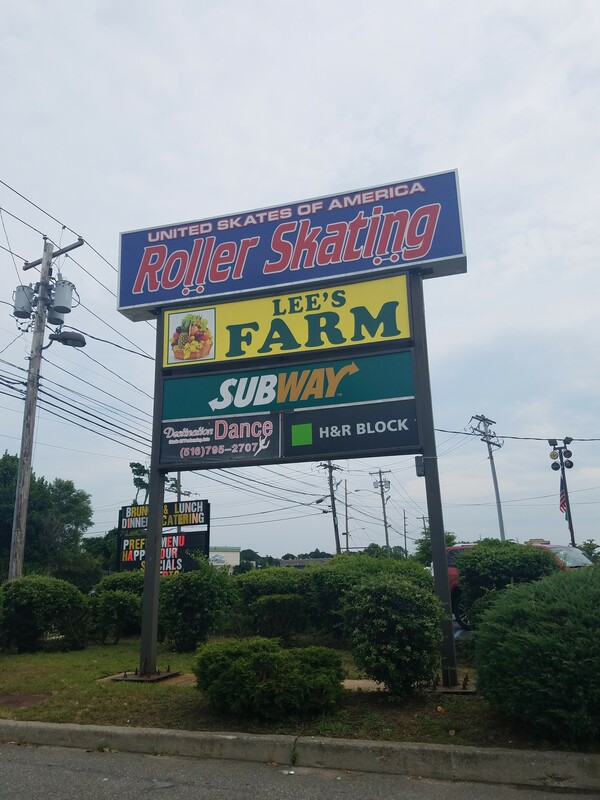 All week long they host open skate times for kids, teens and even adults! 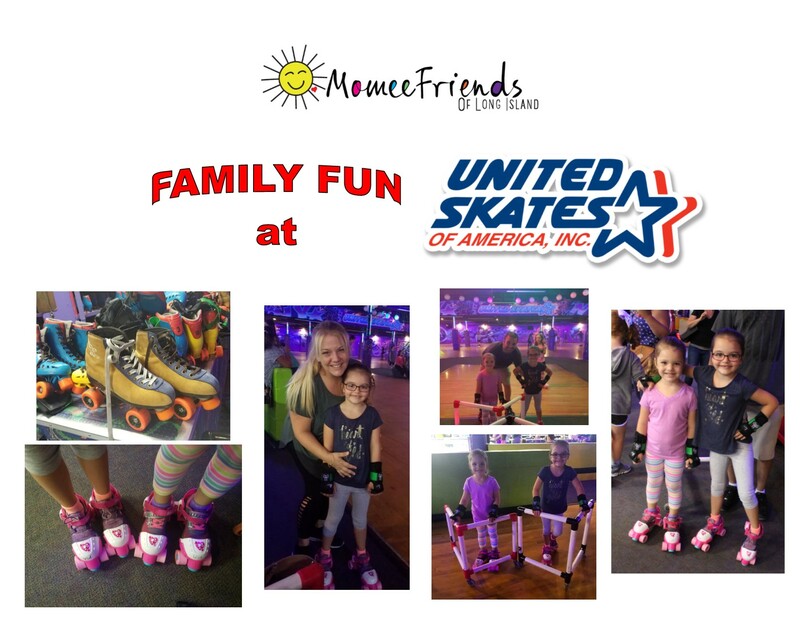 There are always having exciting events with wonderful themes and guest characters for the kids and even a summer skate camp! 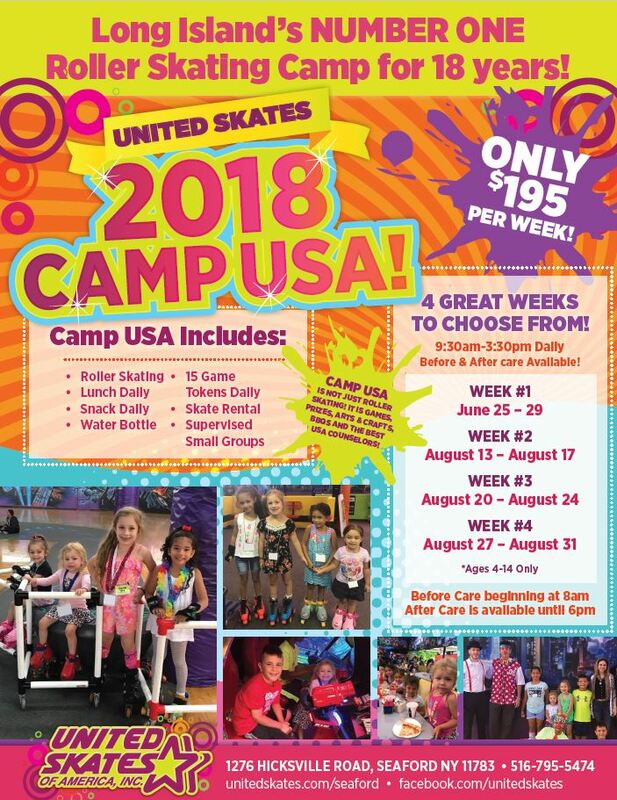 Check out their site for fun events, specials, birthday party information and Camp USA information. 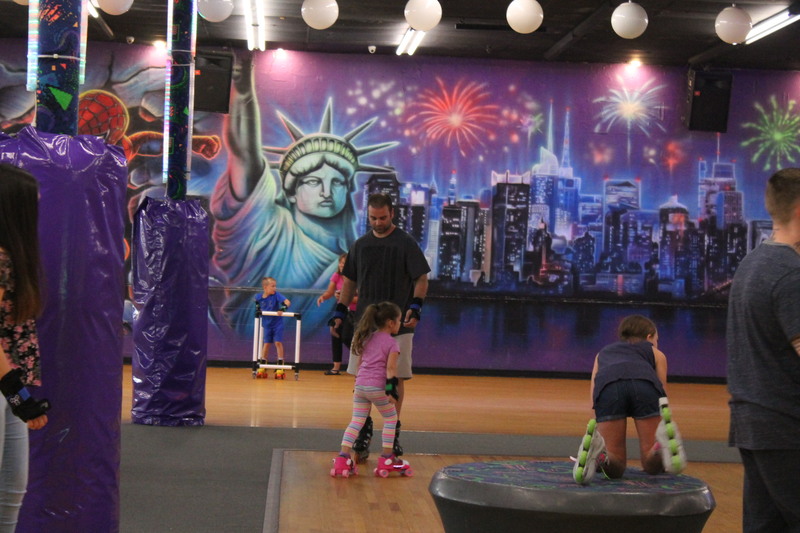 Kids and adults will love United Skates of America (Massapequa).